Ballet U students are trained from their first day of ballet in the foundational techniques and principles of safe and successful pointe work. Correct spinal alignment, proper hip rotation (turnout) and foot articulation become the essential foundation for all higher levels of classical ballet vocabulary. 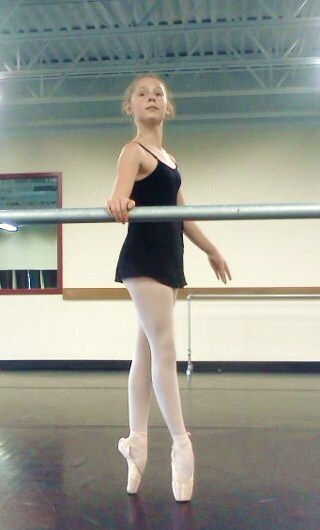 Pointe is a natural and heartily earned progression of sound technical practices that last a lifetime. 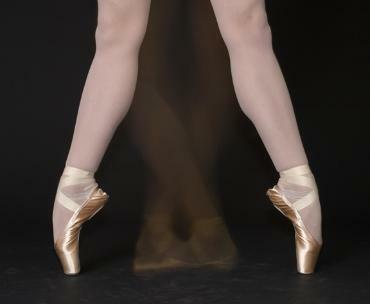 Bearing the entire body weight on about one square inch of space with little assistance from the pointe shoe is a highly developed skill requiring years of training and frequency of practice. Ballet U students are individually evaluated for readiness and carefully coached in the fitting of the best pointe shoe for their foot type, strength and commitment. Private and confidential prepointe and pointe lessons and correct shoe fitting consultations are available by appointment.